Fishing tackle bought new in 1995, but never used. One Hardy's Fibalite spinning rod, Pat. No 1-4-29-309, 8.5 foot, 7 ring, 2 piece, ILO136122. 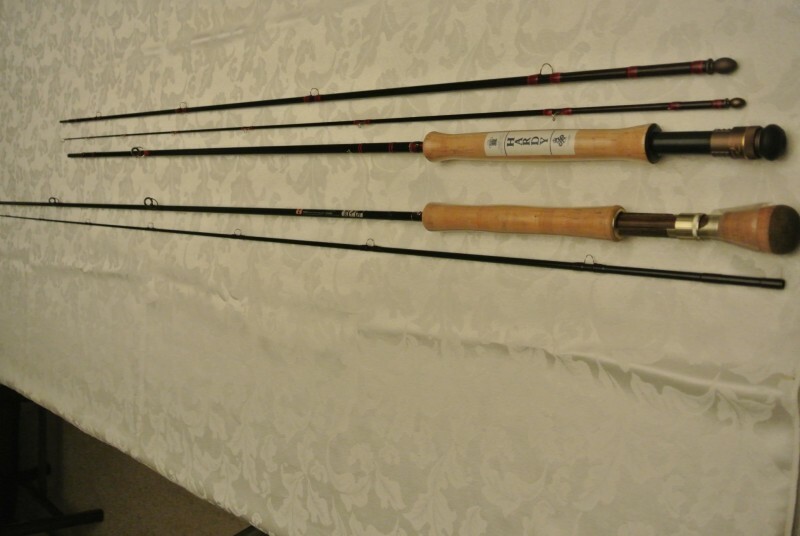 One Hardy's # 718 Graphite Deluxe fly rod, Pat.No 1-4-29-309, 11 foot, 12 rings, 3 piece, IEC138926. 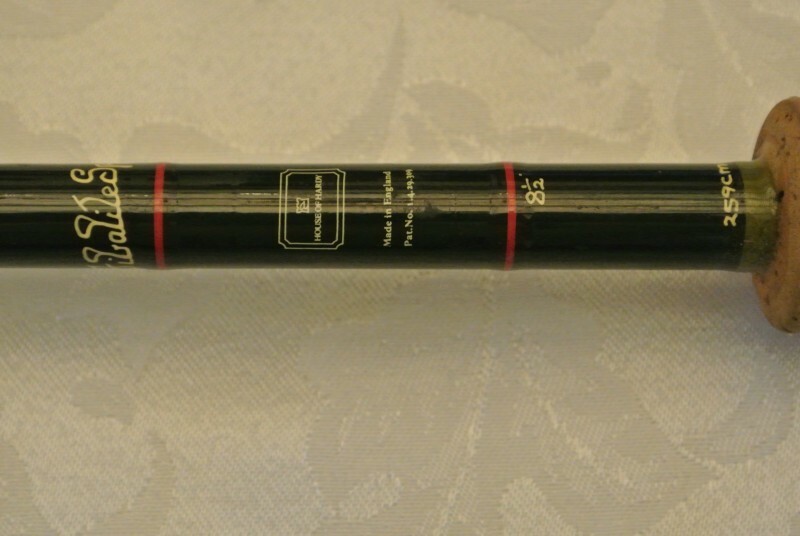 One Daiwa Graphite Carba Regal spinning rod, 8 foot, 6 rings, Cast WT 7-25grm,CRS-8s, two piece. 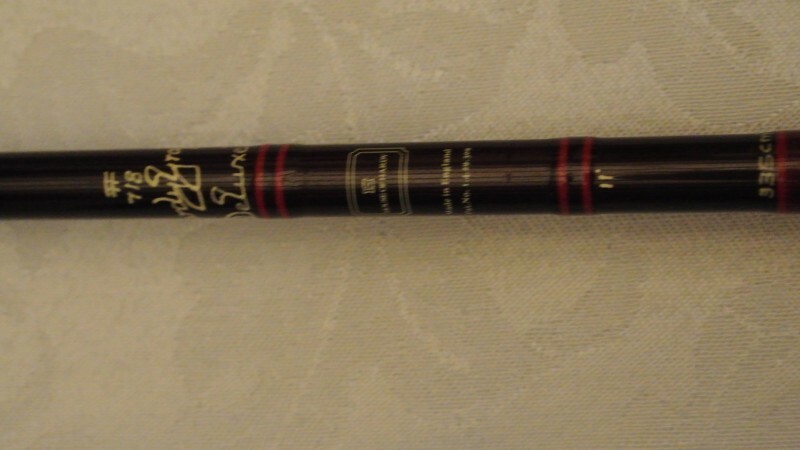 One Daiwa Alltmor fly rod, AMF11 #6-8, 11 foot, 11 rings, two piece. 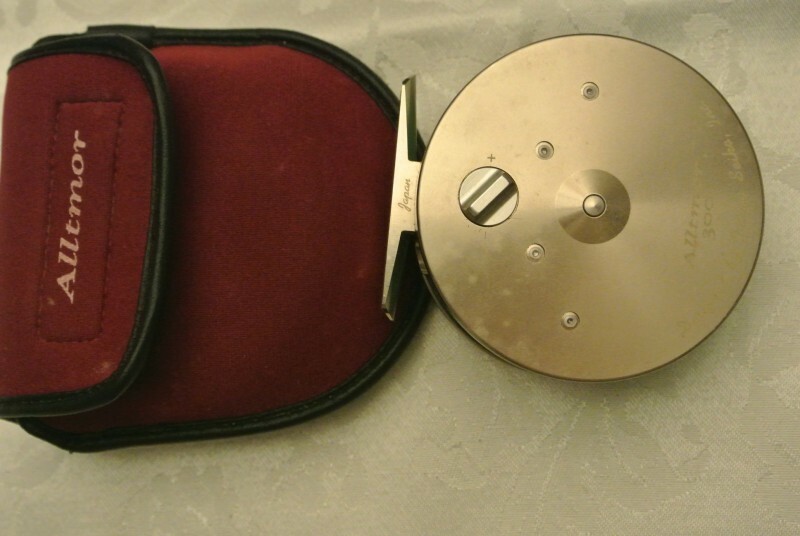 One Daiwa Alltmor 300 fly reel-3.5 inch, with original line and pouch. 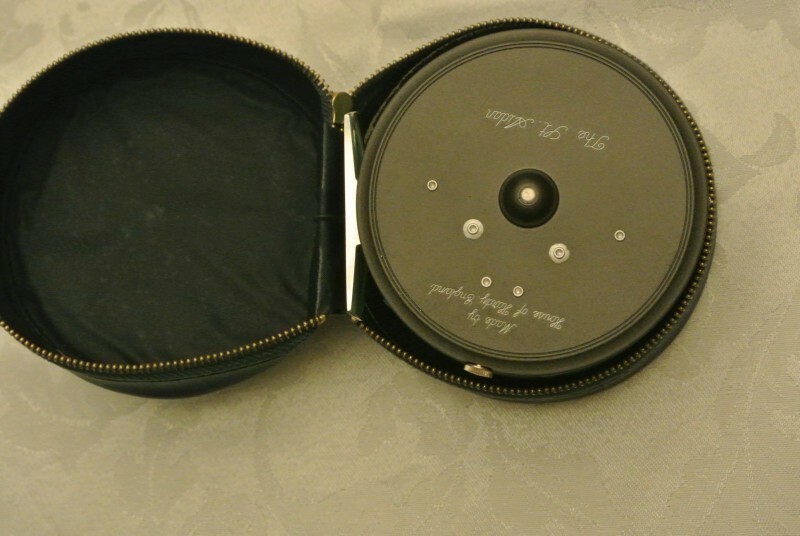 One Hardy "St Aidan" fly reel 3.75 inch, with original line and pouch. 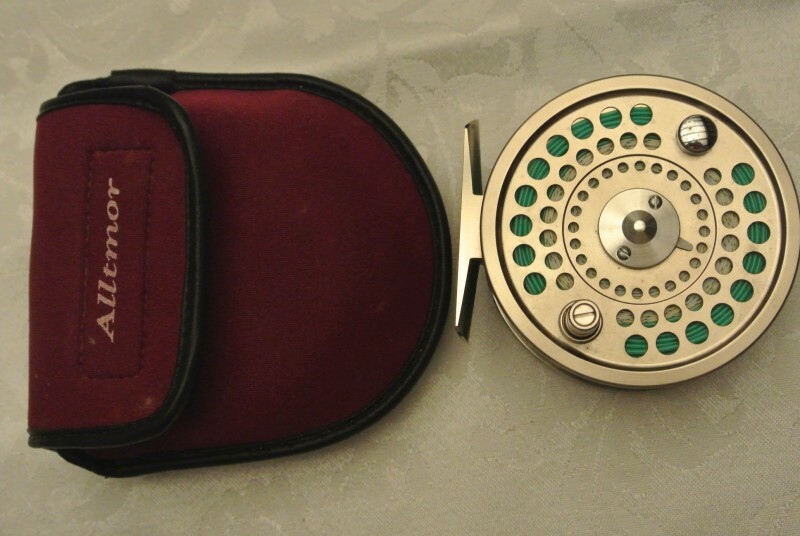 Hardy "St Aidan" 3.75 inch fly reel in pouch. Daiwa Alltmor 300 3.5 inch fly reel with pouch. 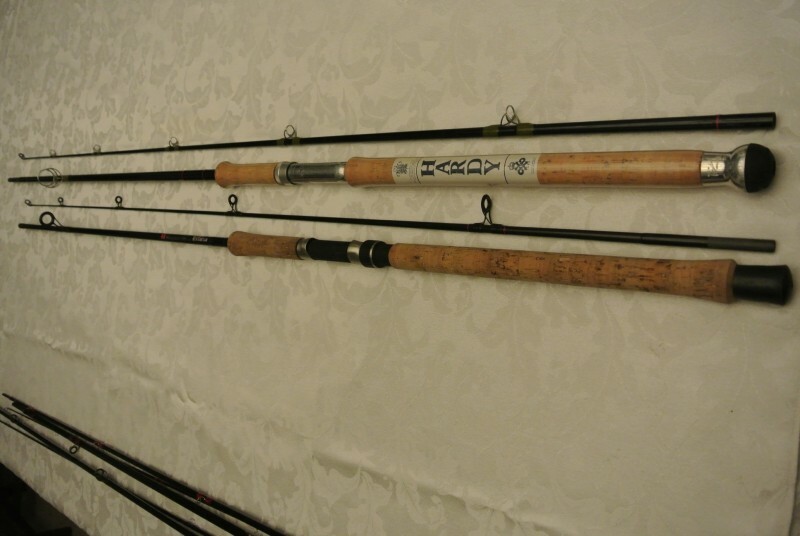 Hardy 3 piece fly rod #718 and Daiwa Alltmor 2 piece fly rod AMF11. 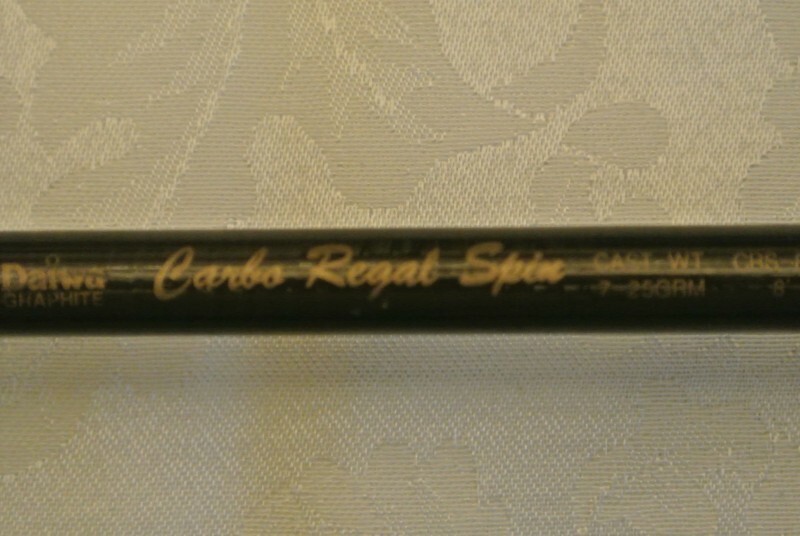 Hardy Fibalite spinning rod and Daiwa Carba Regal spinning rod. Hardy #718 graphite deluxe fly rod. 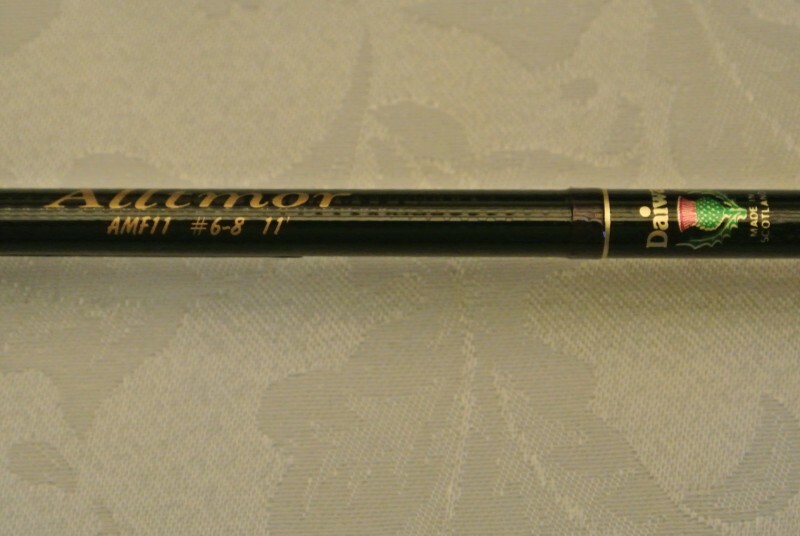 Daiwa Alltmor AMF 11 fly rod.